Researchers at the University of Oxford have found that taking a small dose of the over-the-counter drug aspirin can reduce the risk of death by cancer by 20%. The findings are based on an overview of eight trials involving over 25,000 people. These trials were primarily concerned with reducing heart attacks, but information on deaths from cancer was also collected. 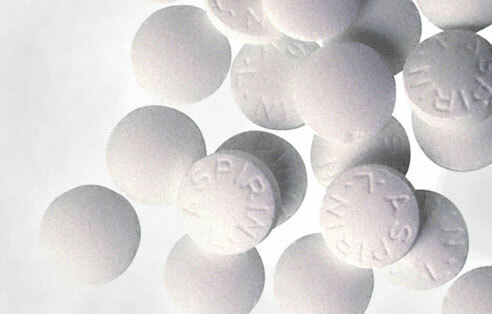 The team of researchers found that a low dose of aspirin taken every day reduced total deaths due to cancer because the drug affects several common individual cancers, including cancer of the oesophagus, the lungs, the stomach, the pancreas and possibly the brain. They also found that the benefits of taking aspirin increased with age. Aspirin is already considered a "super-drug" which can be used to treat heart attack and stroke patients as well as everyday symptoms of common colds and as a pain reliever. However, aspirin does have some side effects, principally bleeding of the stomach and gut, but the researchers are quick to point out that the benefits greatly outweigh the potential harm. For more on this important breakthrough see a great piece in today's Irish Times by Dr. Muiris Houston.